Bathroom wall panels or shower wall panels are the best alternatives to bathroom tiles. These boards are new to the market. Most homeowners are yet to understand how they are fitted or work. For starters, bathroom wall panels serve the same purpose as bathroom wall tiles. However, they have more advantages over tiles. It is also important to note that there are different types of shower wall panels. As you prepare to remodel your bathroom, here are some of the things you need to know about bathroom shower boards. What are bathroom wall panels made of? The material used to make wall panels defines its durability and cost. Before you choose a shower wall panel, make sure you know which material it is. 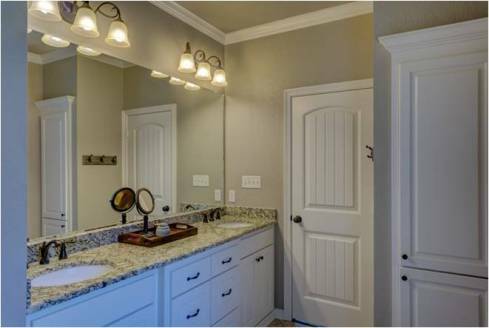 Here are the 3 main types of bathroom wall panels. Polyvinyl chloride (PVC) is the third most popular type of synthetic plastic in the world. Its flexibility makes it a great choice to manufacture quality and unique wall panels. PVC bathroom wall boards are lighter than the other types. This is mainly because their core is not a solid mass; rather, it’s a vertical cuboid type of material. However, this does not limit their value as they look great in your bathroom. One of the main reasons why most people prefer this type of bathroom wall panel is their affordability. PVC shower wall panels are simple and unique. They are mostly used in commercial buildings and office bathrooms. If you are looking for a cheap bathroom wall board, consider installing PVC wall panels. These panels are the slimmest, but heavier than PVC wall panels. Their slim nature makes them easy to install. One feature of these wall panels is their bold colours. You can also choose semi-transparent acrylic wet wall boards. These types of shower boards are hygienic and durable. Their heavy nature means that they are of great quality and long-lasting. Acrylic wet wall boards are expensive compared to PVC wall panels. These are probably the best shower wall panels on the market. First, these boards are laminated on both sides making them completely waterproof. Laminated MDF constructed wall panels are heavy and thick. They are durable, anti-scratch and hard to break. They are the most sought-after wet wall panels for residential bathrooms. Compared to other types of shower wall panels, these boards are relatively expensive. However, they offer value for your money. These bathroom wall panels can be purchased online or from a showroom near you. As you shop, make sure you consider the different designs and colours. You can also check your bathroom size to find the right bathroom wall panels.